Valerie joined Cleary Insurance in December of 2009. She has more than 15 years of experience in the personal lines industry with a focus on high-net worth accounts. 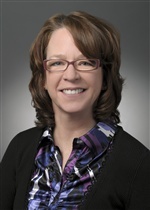 Valerie’s responsibilities include client reviews and recommended coverage of homes, valuable articles, automobiles, watercraft, and personal liability coverage. She holds a Massachusetts Properties and Casualty license and keeps up-to-date with industry changes through seminars and carrier contact.